We enjoy Edisto Beach on July 4th not for the fireworks display, which of course does not exist, but for the time we get to spend together as a family at this special place. We have this time thanks to the men and women who serve or have served this great nation. a shoreline flyover by United States Air Force. 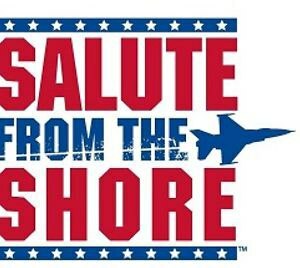 The 79th Fighter Squadron The Flying Tigers of the 20th Fighter Wing will conduct the flyover with F-16s, and cover every beach on the South Carolina coast. The Tigers are expected to reach Edisto Beach at 1:25 pm on July 4th. The Tigers were the last out of Iraq, providing cover for troops on their way to Kuwait. Come on out to the beach ahead of time in patriotic colors with flag and camera in hand. Take pictures and upload them to the site or to our facebook page here to share with those who cant be with us. Share your experience by commenting below!